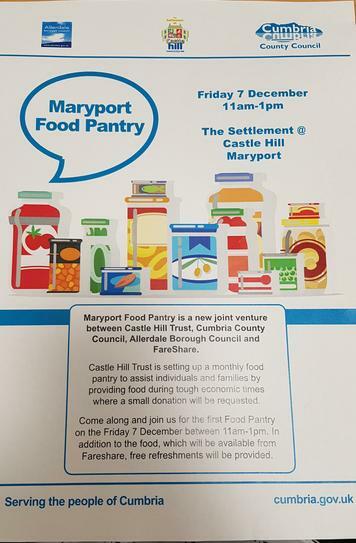 Maryport Food Pantry which will be held this Friday. High quality, surplus food, will be available free (or for a small donation) to those who may be experiencing financial hardship. The Settlement, Friday 7th December 11:00am - 1:00pm.